Talk: Computer Games… thinking outside the box! 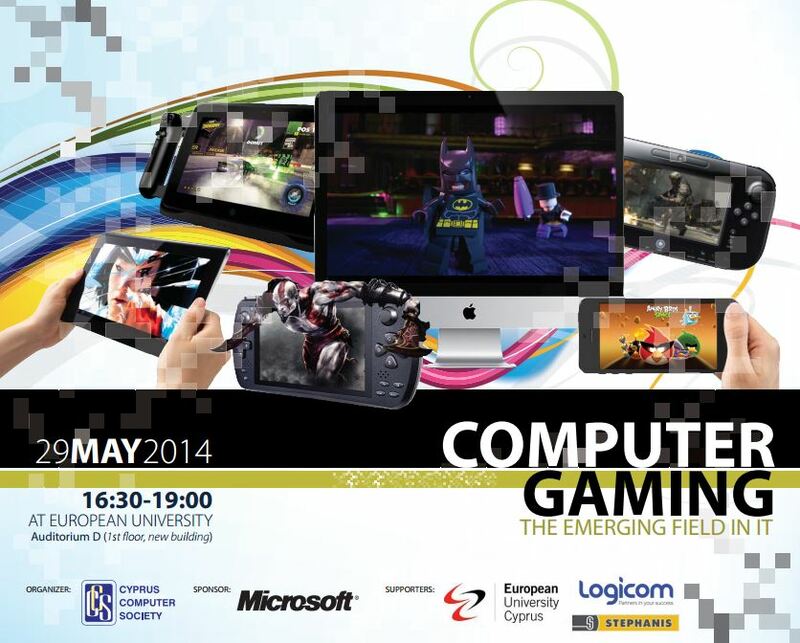 The GET Lab coordinator, Dr. Despina Michael is giving a talk on “Computer Games… thinking outside the box!” at the event “Computer Gaming: The Emerging Field in IT”, organized by the Cyprus Computer Society. Computer games are usually associated with fun and entertainment. However, they can be used for various other reasons, such as training, education, information, etc. These types of games are called serious games since they are used for purposes beyond enjoyment. Looking on computer games from a broader perspective, that of interactive virtual environments, one can see several applications in various fields. Cultural heritage, architecture, medicine, neuroscience and psychology are only few of them, proving the wide range where the advantages of 3D virtual environments can be exploited. By integrating emerging technologies in this kind of applications, we can provide more intuitive ways of interaction to the user and enhance his feeling of immersion to the virtual world. Such technologies are used as either input or output devices to the systems. Examples of input devices include full body motion tracking, haptic devices while for output devices immersive VR displays can be used. In this talk we are going to address different aspects of immersive virtual environments. We are going to demonstrate 3D simulators and virtual reality applications developed as part of research projects at GET Lab. Furthermore we are going to discuss current and future trends in these fields.